Obamacare has sparked many complaints. 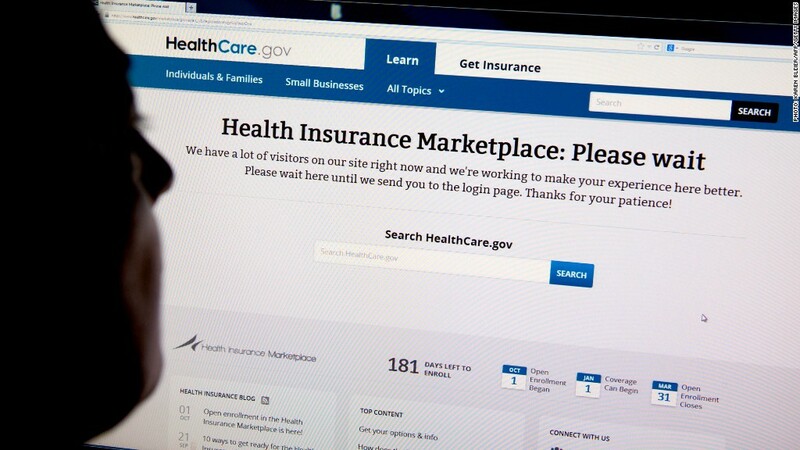 The debut of the Obamacare health insurance exchanges has been anything but smooth. Three weeks after the exchanges opened, Americans are still having a tough time signing onto the Obamacare websites. And once they manage to get in, many aren't so happy with what they're finding. Many people are still having trouble signing onto healthcare.gov, the federal exchange that's handling enrollment for 36 states. 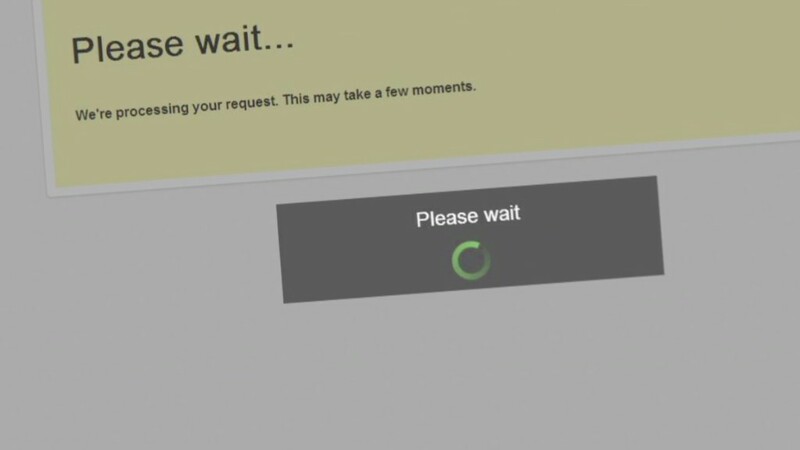 While the site no longer leaves applicants hanging with a hold screen, many are still receiving error messages when they try to log in. Maura Grady of Florida told CNNMoney last week that the federal site was still giving her trouble. It was not accepting her username and password. When she clicked on the Forgot Password button, she was told she'd receive an email with reset instructions. But she didn't. Asked whether she'd try again, she responded: "2, maybe 3 years! When I'm in the mood for some aggravation." Both the federal and state exchanges have been working to address the problems. Maryland, for instance, took down its state-run exchange for the last two weekends to make some upgrades. And the federal site continues to make improvements. "We are seeing progress: wait times to begin the online process have been virtually eliminated, and more consumers are creating accounts, completing applications and ultimately enrolling in coverage," said Joanne Peters, spokeswoman for the federal Department of Health and Human Services. "However, we will not stop addressing issues and improving the system until the doors to HealthCare.gov are wide open." The exchanges still have some time to fix the bugs. Folks have until Dec. 15 to sign up for coverage that begins January 1. Some insurers are saying the applications they're getting from the exchanges are riddled with errors. Some forms are missing full names or numbers. Others contain duplicates, with the same person signing up for different plans. One person who signed up for coverage through Medical Mutual of Ohio submitted several applications requesting different plans, said Heather Thiltgen, vice president of individual sales and marketing. The insurer, which has received fewer than 100 applications through the federal exchange so far, called the person and learned he kept receiving error messages when enrolling so he hit the submit button several times. The insurers are contacting applicants to verify the information. Scott & White Health Plan has called the handful of people who signed up for the Texas insurer's plans through the federal exchange because their forms are missing data or contain dates that don't make sense. Right now, it's not much of a burden because of the small number of enrollees, said Allan Einboden, the insurer's chief executive. But he's concerned about what will happen when the flow picks up. "We're glad we haven't had tremendous volume because we wouldn't have wanted to handle all that manually," he said. The administration says it is working with insurers to address problems as they come up. "Our technical experts are working very aggressively to fix this well before December 15," Peters said. Some people trolling for insurance on the exchanges are questioning why Obamacare is called the "Affordable" Care Act. Many who were uninsured before are feeling forced to buy pricey insurance they don't want. Others who had bare-bones individual plans are seeing the premium prices soar because the Obamacare plans are more comprehensive. One North Carolina reader was upset to learn her current $267 a month plan was being canceled and the cheapest option on the exchange would cost her family $750 a month. They don't qualify for a subsidy. "Obamacare is a nightmare for my family," she wrote. Others were surprised to see how high the deductibles and out-of-pocket costs were in some plans. Deductibles for bronze plans, which carry the cheapest monthly charges, can run $5,000 to $6,000. "This is like a catastrophic plan, said Deb Hornbacher of Colorado. "I am totally shocked and taken aback at how little it did provide at the level I could afford." For others, however, Obamacare is a godsend. Many, particularly those with pre-existing conditions, weren't eligible or couldn't afford coverage before. Now, they can get insurance since health reform bans insurers from discriminating against those who had been sick. Many people signing up for coverage are also eligible for federal subsidies, which can greatly reduce the monthly premiums. Several readers with employer-sponsored insurance say their premiums are going up for 2014, and blaming Obamacare. Companies are also changing their plans because of Obamacare. UPS (UPS) for instance is ending coverage for spouses with access to policies elsewhere, while Trader Joe's and Home Depot (HD) are shifting their part-time workers to the exchanges. It's true that health reform is contributing to higher premiums and plan changes. But Obamacare, which is imposing new fees on companies and insurers starting in 2014, is not the driving factor, experts say. Health care costs are rising because the economy is improving so people are going to the doctor more. CNN's Dugald McConnell contributed to this report.